In July of 2016, I wrote a book called Overlap. It’s a 75,000-word book and I wrote it in 14 days. A productive morning routine starts the night before. Redefine your idea of success: establish smaller steps as micro successes and chain habits together one at a time. Treat the time outside of your day job intentionally. Don’t add extra time to events to “be flexible”, schedule margin separately instead. Like money, time is a limited resource. Don’t try to establish all of your routines at once. Make your habits specific enough to give you clarity. Don’t react to the day as soon as you wake up—set the pace. Utilize the three forms of accountability: public, partner, and personal. If you start calling smaller things successes, you’ll feel good about yourself and move forward. 02:34 Cory: To revisit the topic of mastermind groups, I talked with my best friend Jonathan (Related: e065 Why You Should Be in a Mastermind Group). I love him. He’s awesome. He’s helping me with my film. We’re still getting our feet wet to see if that’s something we want. I also talked to Kyle Adams about it on the sabbatical, and he was talking with Austin Saylor, who’s a Community member. I don’t know if it will be the four of us, but I feel like it’s a potential thing. We briefly talked about it. 03:03 Sean: That sounds like a really good group. 03:05 Cory: It would be. I really want Kyle and Jonathan to meet. They both think so big picture. They’re not afraid to dream big, and it would be really good. We’ll see. 03:18 Sean: Isn’t Austin on the east coast and the rest of you are in San Antonio? 03:22 Cory: That’s the thing. The three of us are in San Antonio and Austin is way over there. 03:27 Sean: It works if you have people remote, but I fear that the three of you would end up meeting on your own more often and it would be strange. That’s not necessarily bad. I’ve been in groups where the other people talk more regularly for their own thing, and it has been fine. I think it is a little bit different. 03:48 Cory: Do you feel left out? 03:49 Sean: In a way. It’s cool. I’m here for the mastermind retreat, but I’m kind of more on the outside. That changes over time. The more you meet with people, the more it’s like, “Okay, I’m part of the group.” It is a little bit different. 04:07 Cory: Maybe it’s like once a year. I don’t know. This isn’t for sure. We’re just talking about it. I would like that. After that episode and re-listening to that episode, I would like that. We’ll see what happens. More updates to come. 04:23 Sean: Cool. Good update. 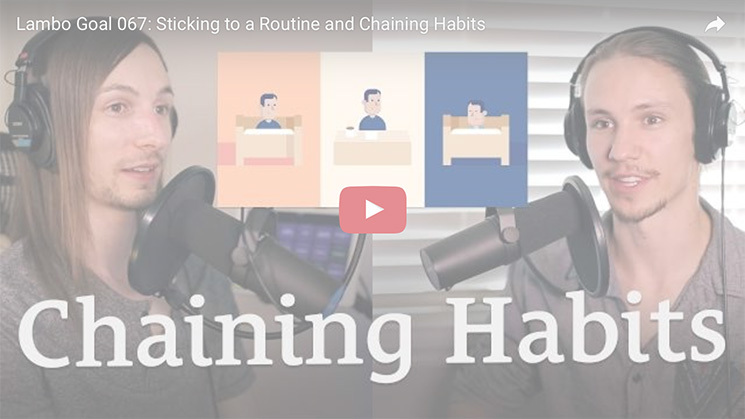 Today, we’re talking about sticking to a routine and chaining habits, putting habits together. 04:33 Cory: I’m imagining a metal chain. You don’t break that. 04:36 Sean: You don’t break it, unless you have a weak link. 04:39 Cory: Let’s not have that. 04:40 Sean: How strong is a chain? 04:50 Cory: A chain is pretty strong. 04:50 Sean: No, Cory. It’s only as strong as its weakest link. Not the strongest link, the weakest link. I’m not the first one to say that. How strong is a chain? A chain is only as strong as its weakest link. 05:10 Cory: I like that. I haven’t heard it put that way, but I like that. 05:14 Sean: We’re going to talk about chaining habits. I wrote a book in July called Overlap. You can find it at OverlapBook.com. 05:25 Sean: It doesn’t feel like I’m actually able to say it until it’s printed. I did write it. It’s a 75,000 word book, and I wrote it in 14 days. It is crazy, but that’s the power of discipline and following a routine and chaining habits. This didn’t happen overnight. I was telling people in the chat, I wrote this book, and I also journaled every day about the process of writing the book. I logged my output. If you go to OverlapBook.com, I’ve got it there where you can go see my journal entries. 06:10 You can see the entire log I had, like when I woke up, when I went to bed, exactly how much I slept, whether or not I ran, how many words I wrote, and when I started and ended. I logged all of it. 06:22 Cory: You logged your sleeping hours? 06:24 Sean: Yes. I shared the entire process of it. I would get up super early, I would run, I would write every day, and during this book writing month, I wrote somewhere between 5,000 and 8,000 words a day. That’s pretty cool. I think I owe my success and prolific output to this discipline, this ability to stick to a routine, get up early, and write every day. It wasn’t always like this. It didn’t all happen at once. 07:01 Sean: I didn’t just wake up on July 1st and say, “Okay, I’m going to write a book in a month. I’m going to do all these things, and it’s going to be great.” It was a very intentional process of chaining my habits together, and it started months before. I planned to take off this month. It was October of 2015 that I decided to take off July of 2016 to write the book. It was something I was preparing for a long time. Several months ahead of time, I started chaining my habits together. 07:35 I’m going to define what that means in just a moment. It was months of preparation. I’m going to go through that process, what I did here. As we have said before, a productive morning routine starts the night before. I knew, going into this, that I would have to wake up early, because it’s the best time to write. You have to work backwards. To wake up early, sustainably, you have to go to bed early, and to go to bed early, you have to be ready ahead of time. 08:13 You’ve got to be ready to go to bed early. You can’t just say, “Oh, I just had dinner. Now I have to go to bed.” It doesn’t work. You have to be ready. You’ve got to prepare. That means that you have to have already eaten your dinner. You have to be done with your work for the day. You have to work backwards, almost to the previous morning. You have to think about when you end your work for the day. For some of you, it may be easier, because you work in a job, you come home from work, and you’re done. 08:44 If you work for yourself or you have your own projects, it’s not always obvious when that’s done. I was listening to Deep Work, the book by Cal Newport. Aaron talks about it all the time. I was listening to it on my run this morning. I put the audio book on my watch, and the Apple Watch, at this time, doesn’t natively support audio books. 09:13 I had to chop it into a bunch of MP3s. I have to remember where I was at. Now, it does a better job. I think the newer watch has more RAM in it, so it doesn’t close the apps you had open and it remembers the last state. With my old watch, I would lose my place all the time. I would be like, “Where was I? Was I on the 26th MP3 or the 28th one?” I never get it right, and I think I’ve heard this book maybe half a dozen times, over and over, because I repeat parts. It’s actually really good. It’s almost rhythmic. 09:48 Cory: You’re probably retaining it better, too. 10:34 He said, “Outside of this job, he has 16 hours to work with. That’s really a lot of time, but he’s so caught up in defining his day in being this job, that the job is his day, that all of the rest of the time outside of that, the 16 hours you have to do everything else you do, gets squandered.” He encouraged people to think of that time outside of your day job, that you may not like, as its own day. Treat the time outside of your day job intentionally, like it’s its own day, and be purposeful about it. 11:41 There’s always more to be done. You have to set the limit for yourself and say, “I’m going to have dinner at 6pm, and I’m going to be done at 6pm.” I’m not saying that I’m the best at this. I usually work after dinner as well. Where I try to be is at this place, where I stop working. During my book writing month, that is what I did. I stopped working at 6pm. I had dinner. Then there’s a little bit of time after, and you’ve got your wind down routine, which I’m going to talk about. 12:12 Sean: For me, a morning routine starts at 6pm the night before. That’s when my morning routine starts. It’s 6pm, it’s dinner. We have two strict rules that we try to follow as often as possible. Dinner must be at 6pm, and everything shuts down at 9pm. By “shut down,” that means that if you’re on the computer, you’re watching Netflix, whatever it is, it stops at 9pm. That’s when it’s wind down time. Brush your teeth, take a shower, whatever else you need to do. 12:52 In bed by 9:30pm, or maybe 9:45pm, and use the remaining time reading, preferably a physical book, to minimize that screen time. At 10pm, that’s lights out. Actually, we have it scheduled. We have HomeKit devices, so the light just goes out at 10pm. 13:19 Cory: You use HomeKit, and then the power just goes out in the entire house? 13:23 Sean: Yeah. Actually, we have two lamps in the bedroom, and one of them goes off. It’s like, “Oh, it’s time to go to bed,” and it’s not totally dark. We can turn on the fan or whatever. If you’re reading a physical book and your bedside lamp goes out, it forces you to be done, more so than with a screen. I like that part. I set aside the book, we turn off the other light, and we start actively trying to sleep at 10pm. In our house, the goal is to have fallen asleep by 10:30pm. 13:57 I work pretty well off of six hours of sleep. Laci, on the 90 minute sleep cycle, is more of a seven and a half hours of sleep person. She likes to sleep. 14:14 Cory: I like six hours as well. 14:16 Sean: She wakes up a little bit later than me, but I get up at 4:30am. For me, it’s fall asleep at 10:30pm, wake up at 4:30am. I get six solid hours of actual sleep, not, “I went in my bed and I got on my phone…” I was asleep, and I’m tracking that. I wake up at 4:30am and I go for a run. Then I take a shower, and I start writing by 6am. That’s the plan. That’s the routine. That sounds like a lot of things, but this did not happen at one time. It’s too much to change all at once. 14:52 Sean: That’s why I want to go through a very intentional way of getting to this point. It starts the night before. The nighttime routine starts earlier. You shut down at 9pm, you get in bed, you start falling asleep at 10pm, and it did not feel natural at first. It didn’t feel natural. It’s going to be awkward. That’s why you don’t want to try and do all of this at once. You’re going to get in bed at 9:30pm or 10pm or whatever, and you’ll be like, “This is ridiculous. I normally stay up until 1am,” or whatever your thing is. 15:57 All of it just feels bad. You’re trying to do everything. You’re trying to be a person who stops their work at 6pm and isn’t a workaholic and keeps working into the night. You’re trying to be a person who’s disciplined. You’re trying to shut down and go to bed at the right time. You’re trying to get good sleep, wake up early, exercise, write, and be productive. You can’t establish all of these routines at once—the more you try to live out this ideal version of yourself, the more frustrated you’re going to be. 16:30 You’re going to fail at this grandios vision that you have. 16:36 Cory: That’s good. I feel like the most productive things happen when we are intentional. For me, and obviously for you as well, Sean, it’s when we wake up early. I’ve found that when I wake up early, my entire day changes. The mood changes. I’m extremely productive when I wake up early, and I love how those days go. Eventually, I get out of that. I’m like, “Why am I getting out of that? I know it works. Why do I keep getting out of this morning routine?” When I wake up early, I don’t get up at 4:30am. 17:12 Early, to me, is 6am, or 5:30am sometimes. I haven’t done that in a while. When I do, it’s the best. I get out of that, and I think, “Why do I keep getting out of this?” I was trying to look at what I was doing that was making me stop waking up early and getting things done, and I realized that it’s the lack of chaining habits. Listening to you, Sean, say that from 6pm the day before, here’s the chain of events, the sequence of events that happens. 17:43 Sean: To be clear, what I’m about to describe next is how you chain habits, and I haven’t even gotten into that yet. What I’ve described so far is the sequence of events and when the morning routine starts, but I haven’t actually described chaining habits yet. I hear you, Cory. I actually don’t like waking up early. I’m a night owl and I always have been. I feel like I do good work at night. I like staying up late. I like sleeping in. It was what I was used to growing up. 18:21 We were in a big family. It was always noisy. I would work at night, because it was quieter. Laci and I liked staying up late. As I’ve talked about in other episodes, I couldn’t argue with the results. When I logged my output, I was twice as productive when I woke up early. 18:38 I got more work done. I like being successful more than I like being right. I don’t wake up early because I enjoy it, I wake up early because I like who I am when I do. That’s the only reason that I do it. 18:52 Sean: To get to this point, what I recommend is to change how you define success in a very intentional way. First, I start by defining success as when I went to bed. What a lot of people do is they’re like, “I have this idea of a successful version of myself that does everything I want.” Do you have this for yourself? Can you imagine a version of yourself that sounds good, that you would want, that you would consider your ideal? What does that look like? Off the top of your head. 19:40 Cory: That looks like waking up early and getting things done, but that’s not who I am. I used to be that, but the ideal version of me goes to bed before midnight, as a first step. Maybe I’ll get to 10:30pm. I’ve done that before. I would wake up at 6am. I like the idea of thinking of everything outside the day job as its own day. 20:11 Sean: It was some author from 1910 that talked about that. Take that version of yourself, and decide that anything short of that is not success. That is success. You’re saying, “Maybe I’ll try and get to that point, but if I fall short, oh well. I didn’t make it.” I like to define success as something much smaller. Over time, we redefine what success looks like. The first thing is defining success by when I went to bed. 20:42 As long as we shut things down by 9pm and we’re in bed before 10pm, it was a success. It didn’t matter if I woke up early. I could sleep in until 9am. Obviously, that’s not the point. You’re trying to get up early, but even if you didn’t, it’s not a failure. Define success by when you went to bed. 21:07 Just one at a time. At first, I didn’t get up early. I went to bed at the time I said I would. It took me a while to fall asleep, and I didn’t want to get up super early, so I kind of slept in until 7am, 8am, or 9am. Whatever. I didn’t get up early. I didn’t say that was a failure. It’s hard at first, when you’re not used to waking up early, but that’s why you define success as when you go to bed, at first. Then you fast forward. You do this for a week or two. 21:35 Try and stay consistent. Say, “I shut down at 9pm, I stop thinking about what the next movie is that I’m going to watch or watching another TV show, because it’s 9pm. My alarm went off, my phone is reminding me, I have my HomeKit lights that turn off in my office…” Whatever you do. 9pm shut down. You’re in bed 10pm, you can use your own numbers. I’m just using mine here. 21:59 Whenever you want to go to bed, that’s your own thing. That’s a success. Do that for a week or two consistently. You’re not trying to go super fast here. We’re talking about doing this over months. It’s worth getting to this point. Once you’ve gone to bed early for a couple of weeks, start defining success by when you wake up. 22:19 I would set an alarm for myself. At first, it was 6am. I wasn’t being crazy. I did that for about a week. Once you build the habit of going to bed and shutting down at the right time, then you shift. Now you’re good, you’re like, “This is a thing that I do. It’s part of my routine. It’s a habit that I have.” You make a new goal, and you say, “I want to wake up at 6am. If I wake up at 6am, even if I’m groggy, feet on the floor, I’m going to do it anyway.” That’s a success. 22:50 It doesn’t matter if you go on a run. It doesn’t matter if you write. It doesn’t matter if you do the three most important things of your day by 10am. If you get up at 6am, that’s a success. Finally, we define success by whatever that thing is that you want to do, like how much you wrote today, whether or not you ran. That’s what you do. Eventually, I got to the point where I was running. Now, I get up at 4:30am, I go for a run, take a shower, and then I start writing by 6am. It’s very intentional. I do one at a time. 23:28 Cory: I just had this big realization of the importance of micro-successes. I think that’s where I’ve been stuck. I’ll be honest. I came in today, and I knew we were doing this episode on sticking to routine. I know that right now, I haven’t been doing that. I have been frustrated with that. I just got out of it. I was really hoping I could find something for myself that I could take away, and I think I just found it. It’s micro-successes, what you just said about calling little things successes. 24:07 When I woke up early in the morning and I got things done and I was productive, it made me feel good. That was extremely beneficial to my productivity, because I felt good about myself. When I think of success as this big thing, as whether I woke up early and worked on my script, my story board, or my film, I am considering that a success. Everything short of that makes me feel bad about myself, and that’s what has been keeping me stuck and not getting anything done. If you start calling smaller things successes, you’ll start to feel good about yourself and move forward. 24:46 Lately, I’ve been feeling so bad about myself, because I’ve been thinking about big things as success, and I keep falling short. I think, “Well, I can’t do anything.” If I start, like you said, Sean, with saying that I’m going to go to bed at 10:30pm or 11pm, or whatever it is for me, if I do that, I can say, “Hey, I’m in bed right now! The lights are off. I’m not falling asleep instantly, but I did it. I’m in bed. I’m not watching a show.” That will make me feel good, and after a couple of weeks of going to bed and calling that a success, I’ll start to wake up when I want. 25:18 That was really huge for me. That’s the biggest takeaway so far in this show for me, micro-successes. I have such big goals for myself. 25:30 Sean: You’ve never run before, but you’re like, “I want to be a person who runs five miles a day.” Somehow, you manage to wake up early and put on your shoes, and you run. It’s barely a mile, and you’re huffing and puffing. You had to walk the last quarter mile of one mile, and you feel bad. You carry this feeling of failure with you, and you don’t do it again. You showed up! You bought the running shoes! You woke up at 6am! You went to run! 26:07 Maybe your idea is that you want to hike this seven mile trail, set up a camping tent, camp out overnight, and go fishing in the morning. You don’t do it because you’ve never done it before. You’re like, “If I can’t do all of that, then I’m a failure.” Start by defining success as a very small thing. Redefine your idea of success and establish smaller steps as habits. 26:35 Once you have that habit, you chain it to the next habit. It’s going to bed early, shutting down, getting that sleep, waking up early, going on a run, doing your writing. If you’re going on a hike, it might look like driving to the camping grounds and having your hiking boots on and all of your camping gear packed. Even if you decided, “There’s no way I can do this today,” that’s okay. You made it this far. Continue to follow a routine of packing everything for your camping trip, driving to the camping grounds, getting all of your gear out, and you’ve got your hiking boots laced up. 27:15 You say, “Every week or every month, I’m going to do this. My habit is that I’m going to pack up for a trip and drive to the camping grounds and I’m going to have my hiking boots, and that’s my habit.” Eventually, that becomes your new starting point. You don’t have to think about that anymore. That’s your baseline. You say, “I’m here, because that’s what I always do the first Friday of every month. I might as well try and hike a mile with all this stuff.” You just keep doing that. 27:50 Cory: I’m thinking back, and I actually used to practice this a little bit. My accountability partner at the time, when I was writing my script—now my script is already written—she told me, “Every day, sit in front of the blank page for five minutes. Even if you don’t write anything, that’s a thing you do.” It actually did help. I’m looking back, and in hindsight, it worked. I’m excited to start really implementing calling smaller things successes, because I don’t do enough of that. If I do consider those successes, I’ll feel good. It will start to snowball. 28:28 Sean: In order to do this, you have to have the people in your life on board. That’s very important. You can’t just start going off and doing your own thing. Your family normally stays up until 11pm or 12am, and you’re trying to go to bed at 9pm. They’re coming into the room, and it’s loud. You’re waking up early, but they’re sleeping in late. I’m not necessarily saying that you can’t do this if you’re on different schedules than the people in your house, because that’s not completely accurate. 29:34 That’s a really good episode. You have to communicate with them. Find a way to align with them. Find a way to get them on board. This is not going to happen if you’re swimming upstream and everyone else is going the opposite direction. Don’t try and do this on your own—set the expectations, tell people what you’re going to do, and they’ll help you stick with that. 29:58 It’s going to be 9pm, and maybe they stay up late and do their own thing, but they’re like, “Hey, aren’t you supposed to be going to bed right now?” They’ll keep you on track. 30:18 Sean: Cory brought up the importance of margin. We got a question from Shannelle, “Would you say that it’s better to completely structure out your routine so that you have to follow it, or could you leave little moments of flexibility?” It sounds like she’s talking about leaving room for spontenaity. Who knows what happens? Maybe something takes me 30 minutes and I schedule it at 9am, but I schedule the next thing for 10am. Leave a little room for flexibility, and who knows what happens? That’s what I’m hearing here. 31:19 Sean: I think a routine is, “This is what I do. I do this. Then I do that. Then I do the next thing.” There’s no question about it. It’s just no question about it. It’s just your routine, the thing that you do. That might be kind of scary, because you might think, “What about if I want to do something else? What if I want freedom? What if I want to relax?” Schedule that. It’s okay. 31:44 Cory: It depends on what she means by flexibility. If she’s talking about meetings, and she has to go to one location to another and there might be traffic, that’s totally different. Obviously, give yourself enough room to get to the next place. If we’re just talking about morning routine and chaining habits together, stick to it. 32:03 Sean: If you have to travel and that takes time, plan that time. You have to account for it. If you know it takes you 30 minutes to do a thing and 20 minutes to drive somewhere, don’t give yourself three hours. 32:21 In general, don’t plan for flexibility. To be clear, Cory, you’re not actually saying that you shouldn’t account for a margin of error in your estimates. You’re saying that if you know that something is within a reasonable amount of time, don’t add more time just to be flexible. I agree with that. Instead of adding extra time to things to be flexible, schedule extra time as margin. 32:50 Programmers know this. Developers know this. You have margin on websites. You have a box element, this div, that has margin. Any other elements that are nearby can only ever come as close as the amount of margin that’s outside of this box. It’s extra space. Margin is intentionally defined extra space. It’s actually purposefully there. White space is a very important element of design. Margin in your schedule is a very important aspect of your health in many regards—physical, mental, etc. 33:31 You need margin. You need to schedule margin. Picture your calendar. I use Google Calendar, and it allows you set up multiple calendars and color code them. Red is this, blue is that, etc. I would recommend that you create a margin calendar in a different color. It could be yellow, because it sounds like margerine and it looks like butter. You could do that. Create a margin calendar. 34:12 Actually go in. Maybe it’s on Fridays, maybe it’s once an day for an hour, whatever it is for you. Maybe it’s once a week. Go in and create an event and stretch it out. Say, “From this time to this time, I am not available.” You have no idea what that’s “for,” and it’s not actually for a thing. It’s actually for nothing. It’s actually space. It’s just margin. What do you do, Cory? Let’s say that it’s from 3pm to 4pm on Friday. You have margin. It’s yellow. 34:47 It’s a scheduled event on your calendar. Someone is like, “Hey, are you available for a call on Thursday?” You look at Thursday, and it’s all booked. What do you say? 35:00 Sean: They’re like, “Okay, what about Friday?” Friday is completely booked, but you have margin right there, with nothing. 35:06 Cory: I can do whatever I want! 35:11 Cory: That’s good. I think we do need to plan for margin as its own thing. Don’t plan for it with each and every task to give yourself flexibility and call it margin. Make margin its own thing—make it separate and very obvious. 35:25 Sean: It’s okay to relax. It’s okay to watch a Netflix show a day, if you want to. It’s not okay to say that you don’t have time and to do that. 35:57 Cory: Margin, I’ve seen it at all scales. In a day, we need it. In a week, we need it. In several years, we need it. I find it interesting. Once we’re 65 or 70, at least most people, they stop working. I see it on every single scale how important rest and margin is. 36:23 Sean: In our case, we literally create a recurring event on our calendars that is margin, and it happens automatically. We call it a sabbatical, Small Scale Sabbaticals. Every seven weeks, we take off a week. There’s an event on the calendar. It repeats automatically every seven weeks. There’s no question. If there’s a holiday, great, it’s a sabbatical—if there isn’t a holiday, great, it’s still a sabbatical. 37:20 That’s how it always is. There’s always way too much work to do, but you don’t work on the weekends. Most offices, most day jobs, you work Monday to Friday. If some client wants to meet and you’re booked on Friday, if it’s Thursday afternoon, you say, “I can’t do it Friday, but we can talk on Monday.” They go, “Alright, sure.” That’s it. 37:45 I was talking to Laci about this, because she’s very attentive to other people’s needs and wanting them to feel taken care of. She’s a people-pleaser. If I have another project and I say, “Can you do this?” I’m legitimately inquiring. “Can you do this? Do you have the capacity?” Oftentimes, she does not, but she will take it on because she wants to appease me. She wants to make sure I feel good. She wants to take care of that for me. It’s not just me. Obviously, we’re married, but she’s done this in many jobs she has had. What often happens is that she ends up feeling overloaded. 38:39 She’s feeling very overloaded, to the point where she can’t handle everything. Try and juggle eight things at once, and then someone gives you another one, and you’re like, “Okay…” But you can’t. 38:50 Cory: I can’t even do three. 38:52 Sean: Do four. The thing is, if she had said no, I would not care at all. I would be like, “Oh, okay.” Your time is a currency. Let’s just assume that people are on board with the no debt mentality. I don’t do debt. I have a very strict no debt mentality. I avoid the negative. Stay in the positive. I either have the money or I don’t. Can I buy this? Do I have the money? Yes or no. Yes, I buy it. No, I don’t buy it. Think of your time that way. 39:39 Your time is taken up by things you’ve committed to. If you don’t have any more room, when you say yes, it has to come from somewhere else—your sleep, your relationships, other places, other commitments… Something is going to fall. You have to drop something. You need to think of your time as a currency. If I say, “Let’s go buy a new couch. It’s $1,000.” We have $800. We can’t buy the couch. You just can’t buy the couch. People don’t think of their time as currency, but like money, time is a limited resource. 40:15 You’re completely maxed. Your limited in your capacity, but when someone asks you, “Hey, can you do this? Are you available?” You say yes. You default to yes, even if you don’t have the time. 40:29 Cory: You have to default to no. 40:33 Sean: You have to see your time as a currency. 40:36 Cory: You only have so much of it. 40:39 Sean: You do, and coming back to this scheduling a call and people caring thing. For instance, I was asking Laci, “We need to be thinking about the venue for seanwes conference 2017 right now,” and she’s in the middle of planning for seanwes conference 2016 that’s happening in a few weeks here. She’s all kinds of busy. I’m like, “Hey, we need to be figuring this out. Is that something you can do?” I don’t know. I know it takes a lot to plan a conference, but I don’t know if we just put down a deposit, go with the same place, or ask someone for a tentative hold. 41:45 They go, “Okay, cool. We’ll schedule it on Monday.” They’re just looking for where to put this appointment. Just tell me where to put this appointment. When you schedule your margin, you are protecting a very important negative space. It’s a space that you need, and it’s the same with sabbaticals. You feel like you can’t afford to take a sabbatical, but what you really can’t afford is to get overloaded to the point of burnout. 42:15 I feared the same thing. If I have a sabbatical, I take off a week every seven weeks, what are people going to say? What if they want to have phone calls? It’s very simple. “I’m not available this week, but I can do a call next week.” No one has complained in two years. 42:43 Sean: Rud asks, “Is a routine doing the same kind of task every time, or can it be setting time aside to do different things, like reading a book, following a course, or watching videos about business?” What do you think, Cory? 42:56 Cory: I would say that you can do that if it’s related enough, where you have a scheduled block of time each day for learning. Learning things in your industry would be even better than learning in general, because you could learn about things you don’t need to know. I would say that’s okay, but for the most part, when we’re talking about routine and chaining habits, I wouldn’t schedule time just for anything. Don’t say, “This is my scheduled time where I can watch YouTube videos, I can go through a course…” Make your tasks specific enough so you have clarity for what you’re doing. 43:33 You wake up in the morning and you know what you’re doing. You know what you have to do. Otherwise, you get to that time, and you’re like, “It’s 7am! Hm. What am I going to do?” There isn’t a lot of focus there. 43:45 Sean: I agree with that. 43:46 Sean: David, who is asking for a friend, asks, “Okay, so maybe I make a coffee before hitting the office. Then I sit down at the computer and open my email first. Bad move. Then I find myself sucked into replying and fire-fighting before tackling my goals. Then I feel bad for the rest of the day and repeat.” This is for David’s friend, who we both feel terrible for and we would like to help. First of all, don’t make email a part of your routine. 44:29 At least, for the first part. If you have to for your job, you have to process it, then do it. Schedule it for a later time. I have to refer to an episode of the seanwes podcast called 3 Reasons to Stop Checking Your Inbox in the Morning. It’s a short and sweet episode. It was a mini sabbatical episode, so Cory wasn’t around for it. I recorded it on my own. 45:12 Get even more specific about your routine. David says, “The question was, ‘Can we unchain bad habits? '” The reason I didn’t bring that in is because that’s not actually chaining. It’s not a bad habit that’s chained, necessarily, it’s the lack of a routine entirely. It’s just reactionary. You’re waking up, and you’re not following a routine. You don’t have habits of your own that you’ve chained. Stop reacting to the day as soon as you wake up. 46:23 You’re reacting to the world. It’s less about chaining and it’s more about the lack of intentionality and routine. Get even more specific about your routine. To give an example, let’s get into prevention of this problem. As a part of your routine, the night before, close all of the applications on your computer except for your writing app, if your intention was to write and you find yourself getting pulled into the email inbox. 47:02 Close all of your applications except for your writing application and turn off notifications system wide. Do not disturb mode, whatever you want to call it. As part of your routine, clear all of these out the night before. Then, in the morning, your routine is to write. Your routine is not to check email. Your routine is to write. In fact, waking up super early, a lot of us have do not disturb modes on our phones. We sleep, we don’t want to be disturbed in the night. Maybe we put our phones in do not disturb mode. You can schedule the do not disturb mode on your phone to repeat. 47:47 You don’t even have to think about it. You know your routine. You know when you go to bed. When you’re consistent, the machines can help you even more. They don’t even have to be super smart, because you can program them. You can say, “From 10pm or 9:30pm to…” you would think I would say 4:30am or 6am, whenever you get up, because that’s what most people do, but that’s the first mistake. 48:14 What is the first thing you need to do? What’s the first part of your routine? What are the most important tasks of the day? Do those first. Set aside time for them. You know how long it’s going to take. Say it’s going to take an hour and a half. You wake up, and you’ve got a 90 minute block of time where you take care of these things. You write, whatever you need to do. Leave do not disturb mode on all the way to the end of the first segment of your day when you are the most productive. 48:42 Maybe it’s 8am or 9am. Schedule do not disturb from 10pm to 8am, and that way, you wake up and you don’t have a barrage of notifications on your lock screen. Your alarm goes off and you kill it. Don’t go looking for the notifications. What have you done here? You’ve prevented yourself from getting distracted by the inbox because you’ve closed all of your apps on your computer except for the one you need. You’ve set aside time. You’ve got your routine. 49:18 You’ve scheduled it, and you’ve scheduled the do not disturb mode on your phone, so nothing can interrupt that flow. 49:24 Cory: I like what you said about it being a part of our routine to do those really small specific things, like closing all of the apps. You get on, you close all of the apps. It’s just something you do. 49:36 Sean: I’ve noticed that, for me, with running, if I don’t do this, it’s more than 50% likely that I will not run. It’s literally laying out the shirt and shorts and socks for my run. It takes 20 seconds. That’s it. It’s not even like I can’t do it in the morning. It’s about intentionality. When I’m going to sleep, I’m thinking about it. I’m like, “I can see all of those clothes laying out in the closet,” and it’s intentionality for me. It’s the smallest thing, but it’s part of the routine. 50:22 Cory: Something else that can go into the routine is something Sean talks about, the three methods of focus. For instance, assign focus to a location. I sit in a specific chair, and I know that it’s time to work. Maybe I could wake up, eat breakfast, brush my teeth, or whatever, and maybe part of my routine is that I sit in this chair at this time. When I sit in that chair at that desk, I get in work mode. Another thing we could do for chaining habits is assigning location. 51:25 “Oh, but I don’t have much to do. I don’t want to work.” No. I sit in the chair. That’s the success. That would be the success for me, just sitting in the chair. 51:35 Sean: Hopefully that helps David’s friend. Maybe David can get something out of it too, in passing that along to his friend, but it’s especially for his friend. 52:20 Sean: This relates to an episode I did about being your own client (Related: seanwes podcast e197 Being Your Own Client). This is a weird thing, too. You’re essentially two people. You’re wearing two hats. You’re the client self and you’re the professional self. Maybe you’re making your own website. You’re a website designer, but when you’re your own client, it’s difficult. 52:54 You have trouble separating your two selves. Which one is in charge? A lot of people don’t have clarity on which version of themselves is in charge. If you can’t separate the two selves, if you can’t figure out who’s in charge, you have to hire someone else. In this case, you have to figure out who’s in charge. Who are the two people? You’ve got the self that’s the rebel and the self that wants to improve—who’s in charge? 53:32 You have to figure out what the process is. Agree amongst the two of you who is in charge and what is the process that we follow. What is the goal? What can we both agree on? Do we want to improve? Do we believe in this process? As I’ve been saying in recent episodes, trust the process. What is something that you both want? Who’s in charge, what is the process, and where do you want to go? Agree upon that with your two selves. 54:08 If you can’t do that, outsource it. If you don’t have the self discipline to discipline the version of yourself that is the rebel or the client and you can’t separate those enough and assign roles, to say, “This version of me is in charge,” you have to outsource it. That’s all you can do. How do you outsource this, trying to create a habit? Outsource the habit you want to build to a process or to a person. You’re going to create a habit. You can get accountability, someone else to help you, to keep you on track and keep you accountable. 54:52 They check in with you. Maybe it’s a coach. Maybe they walk you through. Or, you hear about something on a podcast. You read about something in a book or you buy a program. Do you trust that person, and do you trust the process? You have to trust the process. Then, you just do the work. What is step one? Step one is whatever. Follow the book, the program, the person and their process. In my case, I’m saying that when it comes to waking up early, writing, working out, or whatever, you define success first by when you go to bed. 55:31 Then, do that for a couple of weeks. Redefine success by when you wake up. Wake up early. Do that consistently. Do it for a couple of weeks. Continue to redefine success and build off of these micro-successes, these little wins. That’s the process. You don’t have to follow it. You can turn off the podcast and stop listening, or you can listen and do nothing about it. Or, maybe, you think that it works, and you go, “Sean wrote a book in 14 days. That’s pretty impressive. Maybe this will work for me.” At some point, you have to decide to trust the process. 56:08 Cory: Instead of thinking of it as, “No one can tell me what to do. I’m my current version. I know what I want,” ask yourself who was in a better state of mind when they came up with the idea of wanting to do something. You obviously had clarity when you said, “I want to start doing this thing.” It was a game changing thing. That version of yourself was in a much better state of mind to make that decision. The person that is rebelling and trying to fight it is being reactive to being tired, waking up early, or whatever it is. 56:54 They just don’t want to do it. Remember that there’s a reason why you wanted to do this for yourself. Eric just quoted something. He said, “Self discipline is remembering what you want.” I like that. You have to remember that you wanted this for yourself. You saw something in this process, this routine, or adding this task, that you knew would help improve you. If you work toward your goals one small step at a time and establish a baseline, the rebellious version of yourself is going to warm up to the idea. 58:02 It’s going to be a lot less of a hurdle. 58:05 Cory: Yeah, I think so. I’m excited to start implementing this in my own life. Like I said in the beginning, I just got out of it. I used to wake up early, I used to be productive, and I loved it. Something happened. What was it that happened? I didn’t have routine. I woke up a couple of times in a row early and I got some stuff done, but there was no routine and habits that forced that to happen consistently. 58:33 Sean: Bring in accountability, which we haven’t even talked about, because it’s something we’ve talked about in other places. We might as well, because it’s great. It’s a reinforcer. If you bring in accountability and weave it into your routine, it’s that much stronger. You text your friend group at 4:30am and you say, “Feet on the floor?” They say, “Feet on the floor,” a few seconds later, because you’re all getting up. If that’s a thing that you do, it’s going to reinforce the habit. It will do it even more if you know that they’re going to be there waiting for you. 59:14 Cory: It makes me want to dive into the three accountabilities. Let’s do that real quick. 59:47 But why did I do it anyway? Public accountability. My reputation was on the line. I told people that I was going to be taking a week off. One of the principles in Robert Cialdini’s book, Influence, is that I want to be consistent. People want to be seen as consistent. It’s a desirable trait. They want to be seen that way. So, I followed through. I did it because of the public accountability. 01:00:19 You also have partner accountability. That’s just a partnership, an accountability partner. You meet with them regularly. You hold each other accountable. You can do any of these things, but when you combine them all, that’s when it’s very powerful, especially when you come to the third one. Personal accountability is essentially self discipline, and this is the one that most people neglect. 01:00:44 It’s when you tell yourself that you’re going to do something, how often do you actually do it? That is how strong your personal accountability is. That is how self disciplined you really are. For most people, they don’t have a good accountability relationship with themselves. They are not self disciplined They say they’re going to do things to themselves, but they don’t do them. “I want to run. I want to eat better. I want to get in better shape. I want to read more books. I’m going to read more books.” They don’t do it. 01:01:18 It weakens your personal accountability, your self discipline. 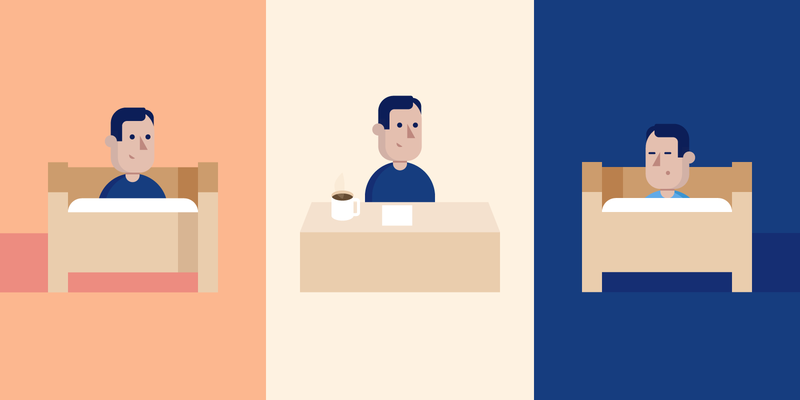 Weave these three accountabilities together. Don’t just have an accountability partner, but also tell everyone publicly that you’re going to do something. If you don’t do it, your reputation will do it. If you don’t do it, your accountability partner is going to get onto you. If you don’t do it, you also let down yourself. When you have all of those things working together, it’s much more likely that you follow through. 01:01:47 When you follow through, primarily as a result of the public and partner accountability, you strengthen that personal one. You boost your own self discipline when you follow through. Don’t start with the personal accountability because that’s typically the weakest. Public and partner accountability are going to make the biggest difference. 01:02:20 Sean: Then, I want you to intentionally bring in the personal. Even though you told your accountability partner, even though you told everyone on Twitter or all of your audience on the newsletter, even though you did those things, you’re like, “I already told everyone I’m going to do it,” take a moment and tell yourself. That’s not going to be the thing that makes you follow through, unless you’re already very self-disciplined, but when you follow through as a result of the other ones, it strengthens your personal accountability. 01:02:57 Cory: That’s a great place to be. 01:03:14 Sean: I’m very excited for the new feature coming to the chat, the Conversations feature. Hear me out. This is going to be so good. Cory, I have a good idea about how revolutionary this is going to be, but this particular instance, this particular usage case, just came to me in this episode, and I’m realizing that it’s one of many and it’s going to be so incredible. 01:03:43 You know how we do “feet on the floor”? You get an accountability partner, you both wake up at six, and you say, “We’re going to take turns. At 6am, we’re going to text each other.” You take turns. One person says, “Feet on the floor?” The only appropriate response from the other person is, “Feet on the floor.” It’s a little bit of accountability. The next day, they take a turn. You look at your alarm clock, and it’s going off. It’s beeping or buzzing. 01:04:11 It’s 6am, and you’re like, “I don’t want to get out of bed.” What do you do? You normally hit snooze, but when you have an accountability partner and you’re doing the 6am club thing, you think, “They’re going to be asking me, ‘Feet on the floor?’ and I have to have my feet on the floor when I answer if I’m going to be honest.” So, you actually do it. Sometimes, people in the Community chat would come in. 01:04:33 We’ve got this main chat room, and people would say, “Feet on the floor,” or, “6am club,” and that’s cool. You may happen to run into the people who are in your exact time zone at the right time, who are also doing that same wake up time and who are also looking for accountability, but the chances are very low, and we have people in every time zone across the world. Most likely, you’re not going to meet up with those people. 01:05:36 Cory: That’s cool. I’m excited to see how that looks and how it plays out. 01:05:43 Sean: There’s a little tip, and it actually answers Candace’s question, at least in part. She says, “What are some of your favorite tools you use to help you maintain your habit chain? Anything other than the red X on the calendar?” Of course, the red X on the calendar is to put an X on the day that you showed up, and do that every day. Eventually, you have a chain of Xs, and you don’t want to break the chain. That’s a good little trick. Cory, you said that you actually use something physical that helps you, a tool. 01:06:48 I have a pen. It makes it feel very real. If it’s digital, I tend to see it as something that wants my attention, and I dismiss it and make it go away. If it’s a physical thing, it becomes real. Get a day or a weekly planner and write down what you want to do. 01:07:56 You can customize whatever you want. By default, out of the box, it’s pretty useful. It can show you whether you’re on Twitter or Scrivner, which would be productive writing time. You can customize these. You can color-coordinate them. Eventually, you get to the end of the week, and it’s this bar that goes from red to blue. Red is very distracting time and blue is very productive time, and you can also have things that are different shades of red and blue, or purple in the middle. 01:08:25 Maybe the Community app can be a distraction for me, but it’s also my business, I’m helping people, and it’s work, so I may make that purple and keep an eye on how I’m managing my time. It also tracks website usage, and you get a really good idea for how you’re actually spending your time. How you feel about it and how you actually are spending your time are often very different. I would add onto that an app called SelfControl. 01:08:53 This is a Mac app. If you have trouble disciplining yourself, this will literally lock out and blacklist any domains, subdomains, or wild card domains, maybe even apps, for however long, a certain number of minutes, like 20 minutes or 60 minutes. You literally can’t go to that website. You can’t even kill the app. You’re committed. You have to do your work. If you have trouble and you’re like, “I shouldn’t go in my browser,” but you do it anyway, then you really need this, SelfControl. 01:10:09 Sean: Do it! It’s free. It has a paid version that does what SelfControl does, which is also free. You could have both of those and get the best of both worlds for free, or you can upgrade if you find RescueTime to be useful.